On our free evening we headed to Beale Street and ate at Blues City Cafe; good food, good service, great company! 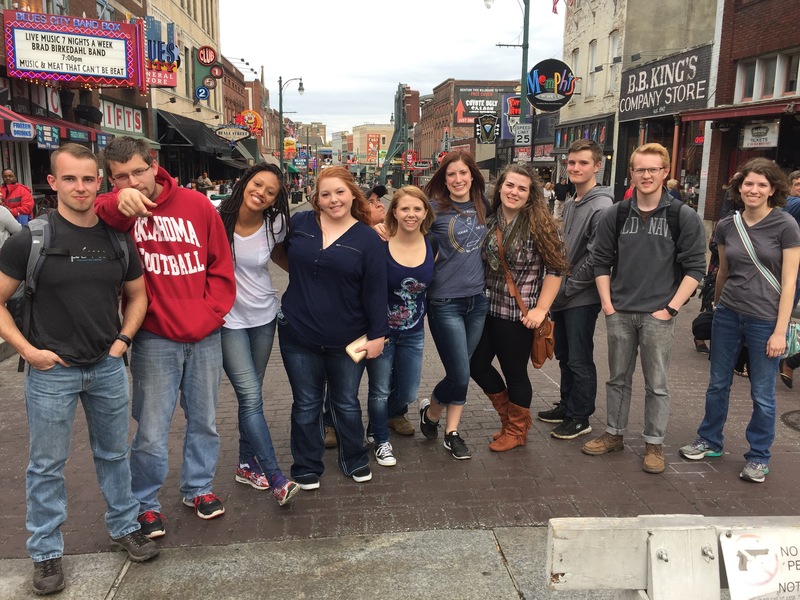 Bible Club, Urban Farms, and Beale Street; a very good day. We heard that it was supposed to rain today, but in spite of a heavy cloud layer and high winds, the weather stayed dry and reasonably warm. Bible club only saw 25 kids today, but it really was our best day yet. The game station featured kickball, which was a huge hit due to the wind, and the craft station made cross shaped picture frames. The song station was so loud everyone talked about it afterward (in a good way), and the Bible story taught them about what it means to trust God using the story of Noah and the flood. In the afternoon we visited Urban Farms, an aptly named plot of land in a nearby ghetto intended to help people living in a “food desert.” A food desert is an urban area where locals have poor access to food beyond the junk you find at a gas station or convenience store. These places exist in poverty stricken areas of major cities where grocery stores have moved away to find better access to richer customer bases. It’s a real problem most of us never consider. 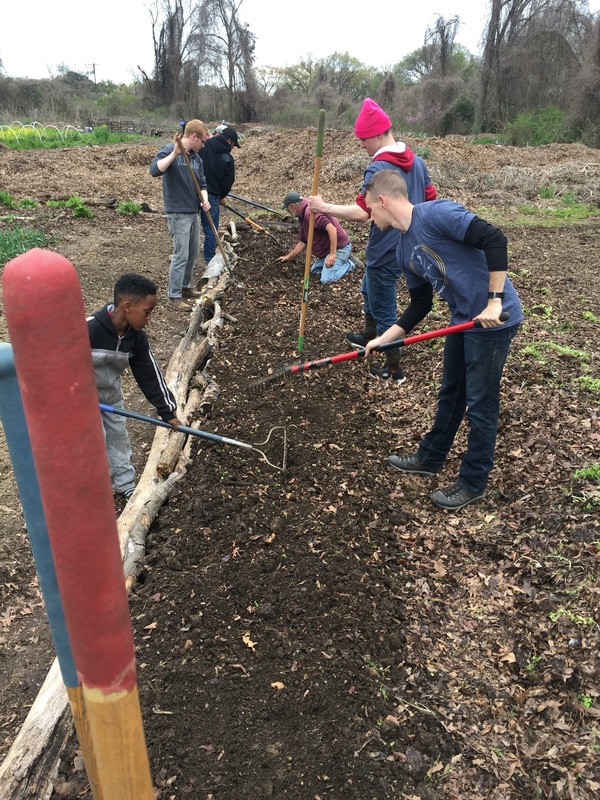 At Urban Farms we helped set up a garden bed and plant seedlings. After cleaning up a bit we headed to Beale Street near downtown Memphis and ate at Blues City Cafe. The ribs were everything you’d expect from one of America’s finest BBQ cities. Finally, we debriefed and discussed the meaning of 1 Thessalonians 2:8. We cared so much for you that we were pleased to share with you not only the gospel of God, but also our own lives, because you had become dear to us. 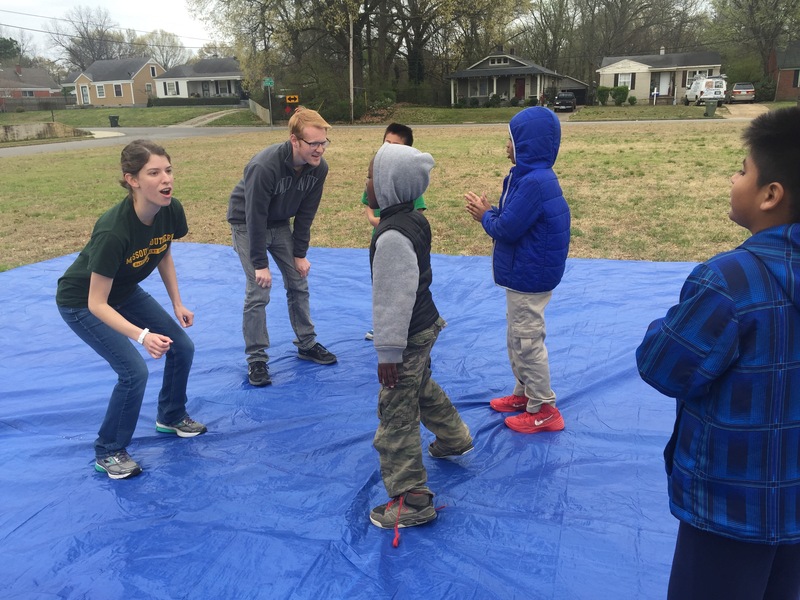 This entry was posted in Collegiate Week, Spring Break and tagged Baptist Collegiate Ministry, BCM, Beale Street, College ministry, Crowder College, Memphis, Missouri Baptist Convention, Missouri Southern State University, Spring River Baptist Association, Street Reach, Urban Farms. Bookmark the permalink.